Clarity Media can supply Children's killer sudoku puzzles. 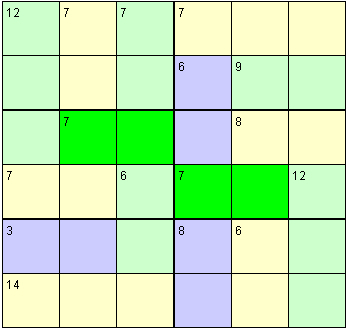 For quick starter puzzles, we can produce killer sudoku puzzles of size just 4 x 4. For moderate level kids killer sudoku puzzles, we produce the puzzles with a 6 x 6 grid, producing a killer sudoku puzzle that requires the numbers 1 - 6 to be entered into the grid once per row, column and 3 x 2, and in accordance with the sum of the boxes defined on the grid.